Join the city of Oberlin in celebrating the end of slavery. 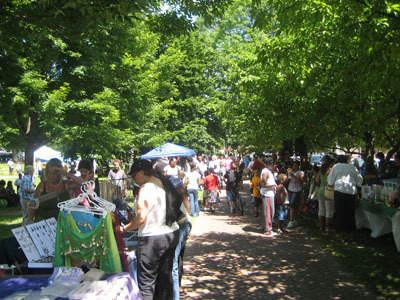 Juneteenth Oberlin has organized a series of events on Friday, June 18 and Saturday, June 19. For more information, visit Juneteenthoberlin.com. The Oberlin Heritage Center will host an information booth and raffle at Tappan Square on Saturday, as well as tours of the Oberlin Heritage Center (10:30 & 1:30) and the Freedom's Friends: Underground Railroad and Abolitionist History Walk (11:00, registration encouraged). Share your memories of Oberlin events, places, and people at the Oral History booth at the Square on Saturday between 11:00 and 2:00. We'd love to save your story!